Whatever you expect after starting your journey with weightlifting, be it a better physique, more strength or a shredded six-pack, you can achieve it by committing to a long-lasting and consistent work. If you expect to become Arnold Schwarzenegger within next 6 months, you’ll definitely be disappointed. However, when you stick to the training schedule and keep working, then after time you’ll get a huge reward. The same principle applies to other areas of life. If you want to become an expert of something, be ready to put a lot of effort before you become successful. Many times we get discouraged whenever we fail at something. Failure is a complex issue, but more often than not, it’s not as bad as you think, granted that you take a step back, analyze the situation and adjust your strategy. Doing so will get you a little bit closer to your goal whenever you fail. Sure, you didn’t achieve what you planned right now, but you see what went wrong and prepare better for the next time. Let’s you try to bench press 200 pounds but every time the weights defeat you. It’s completely natural and part of the game. Take 20 pounds off and try again. How about 40? You could just give up and believe you’ll never achieve your goal, or analyze what went wrong and give it another try. Finally, you’ll get there. I’m always amazed by the progress of regular training. For instance, two months ago I could do around 15 dips. After gradually increasing the volume, I got to the point where I could do 25… with a 40-pound plate. But this was only possible because of all the small steps I did. One tiny step at a time. No rush, no hurry. Instead, consistency and discipline. The truth is, and it applies both to the gym and any other area of life, overnight success doesn’t happen. There’s always behind the scenes which show the long path that the person had to go in order to get to a certain point, aka success. Did you ever believe you are the person with super powers? As a child, I wished I was. I really wanted to believe I’m that special guy who actually has the super powers you normally see on TV. Then comes the reality slap in your face, showing you that are not a superhero. Injuries do happen. Don’t overestimate your abilities. Now, I’m not trying to say “don’t believe in yourself”. Just be realistic. 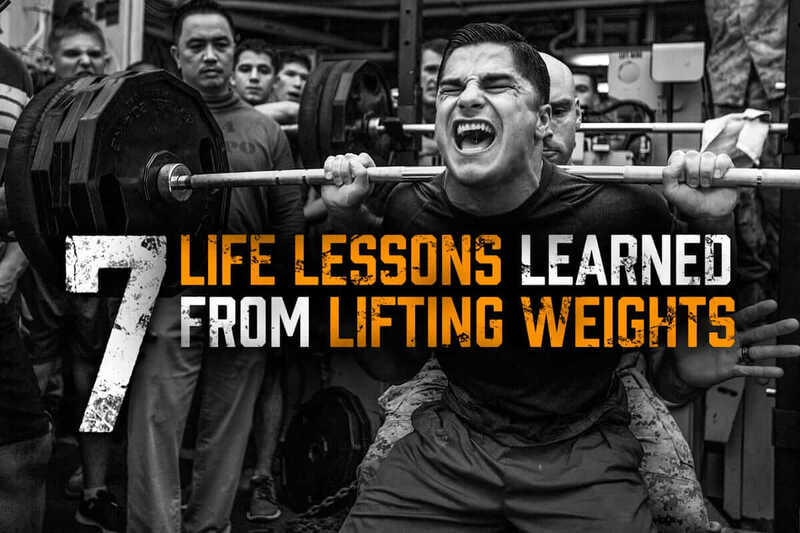 Sure, squatting 400 pounds is possible, but for a complete beginner, this weight is killing. Whatever you want to achieve, you can’t just get there. You don’t just get under the bar and do Ronnie Coleman’s routine. But if you act reasonably, then over time what would kill you a year ago will become your warming set. If you hit the gym once in a while, do some general workout and neglect your diet then don’t expect to get shredded and huge. I, by no means, have anything against training occasionally. You just need to know what’s the reason behind your actions. When you want to grow muscle and become stronger then you need to design your game plan, both a training routine and a meal plan. A lame approach leads to average results. It’s all about your end goal you have in mind and finding the strategy that will take you there. If you dream of landing a job at Google, then coding once a week probably won’t get you there. When it comes to lifting weights, you get what you earned during your workout (and in the kitchen), nothing less and nothing more. If you did your homework preparing the strategy and you have enough willpower to train hard and smart on a regular basis, then you’ll get rewarded accordingly. This rule also applies to life and people who claim someone was just lucky are mostly naysayers, who overlook the strategy and see only the final result. You can train really hard at the gym, but it’s your diet that determines how your body’s going to look like. For many, the hardest part is in the kitchen, where you need a lot of willpower to choose healthy products and track what you put into your body. The urge to cheat and have some sweets or pizza is high, but how you react to that shows whether you’ll be successful or not. The things worth saying “wow!” don’t come right away! You have to work, work and work and still wait a lot for the results to come. The ability to choose the long-term reward and ignore the short-term satisfaction differentiates the average guy from a successful individual. If you let your life depend on your motivation levels then I assure you, you’ll feel miserable quite often. If I’d train only based on how motivated I am, I would hit the gym 2 times a week at most. Generally, feeling motivated is a great moment to start. However, if you rely exclusively on that, you won’t get any far. But if you combine motivation with discipline then you have the winner recipe. Normally, our minds prefer staying in the comfort zone unless the aspiring part of the brain takes the lead and want to do something incredible. We already agreed that it doesn’t happen quite often, so you need something more to stay on track. This is where self-discipline comes in handy. When you see the long-term reward I mentioned above and go through, even though you’d rather lay on the couch watching Netflix. Guest article by Oskar Nowik and published on Growthzer.com. Oskar is an entrepreneur, author and self-improvement blogger at Growthzer.com. Sign up to his free self-improvement newsletter for more inspiration. Photo by U.S. Naval Forces Central Command.